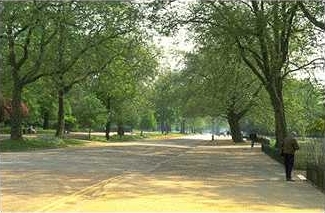 Rotten Row runs to the south of the Serpentine in Hyde Park. 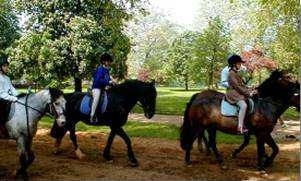 It is London's oldest bridle path. In the 17th century, the area was so notorious for highwaymen that Rotten Row became the first road in England to be lit at night. The name Rotten Row is actually a corruption of its original name "Route du Roi" -- the "King's Road" to William III's newly purchased Kensington Palace.